Posted January 9th, 2013 by David Porter & filed under Hot Topics, MailBigFile, Social. 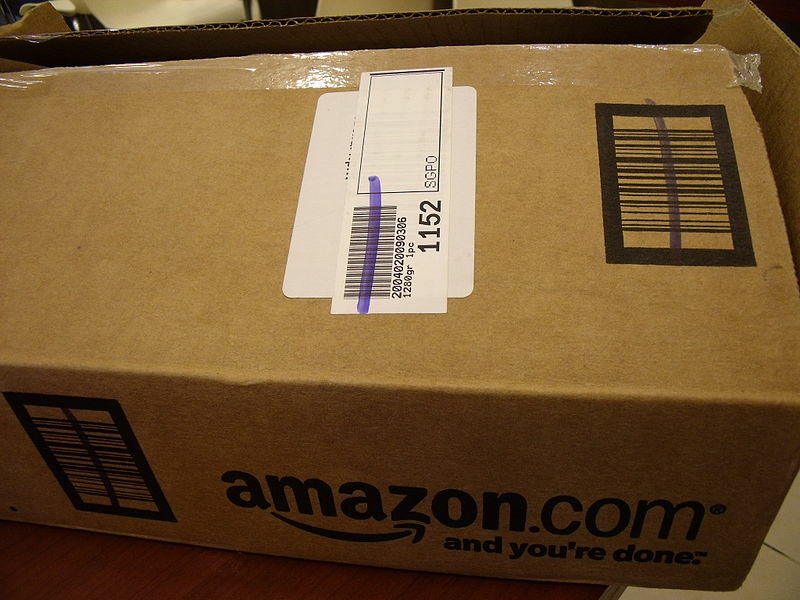 What will Amazon actually deliver in the next few years? Today, that is well paraphrased by a world war that is beginning. ‘Who controls the cloud controls the internet. Who controls the internet controls the future’. Amazon looks set to extend its operations way beyond retailing, to make it a major global technology company with plans to dwarf Apple and Google. In a new year interview with the Sunday Telegraph’s Katherine Rushton, Andy Jassy, head of Amazon Web Services (AWS) claimed that his technology unit was growing so rapidly it would ‘catapult past’ its rivals. It’s estimated that currently AWS contributes around 3% of Amazon’s near $50 billion a year turnover. The cloud will grow that exponentially, if even conservative estimates are believed. Amazon’s cloud computing, data storage and software are offered on a ‘pick and mix’ basis which is proving very popular as their customer base expands. He denied there was any plan to ‘own’ the internet, but they simply recognised that web services were ‘the building blocks of the internet.’ He said that if developers would build web applications using web services, then the operating system ‘became the internet’. Is that a coded statement about future ownership of the world wide web? Rushton wrote that Amazon’s founder Jeff Bezos told a conference in Ls Vegas last November that ‘time horizons matter a lot’. He has invested in a 10,000 year clock that ticks once a year and has a cuckoo to herald each millennium as an ‘icon for long-term thinking’. His starting point of selling books online, ‘easy to store and easy to ship’ was the guinea pig as he perfected his supply chain. Now his retailing operation is one of the biggest in the world. The Kindle e-reader was a similar loss-making launched product which built a place of apparent necessity in people’s lives. It was, and still is, a must-have gadget. That same approach is being applied to cloud services. Initially for their own business, the giant facilities are offered to the market at extremely competitive rates, whereby clients activate fully flexible services on demand, concentrating on developing their businesses instead of worrying about buying space in servers and other infrastructure. Looking at it now, it seems a realistic and achievable business idea. Seven years ago when Jassy wrote the plans, it seemed revolutionary. That seems to be the trick in power grabbing. Make your services/product indispensable, effective and possibly trendy. Google managed it with web search, so in that sense they already ‘own the net’. Amazon clearly aim to own it even more through their cloud. And they are not alone. Microsoft is the top technology giant arming up for this war to control the web. It looks set to become an interesting battleground in the next year or two. A bit like the military ‘star wars’ of space warfare of the 1980s, but without the nuclear fall out. The old guard of techno companies (like IBM, HP, Oracle) have enjoyed big business for decades, but their services always demand legacy software and hardware to be functional. Jassy calls what Amazon are offering, ‘the proper cloud’. Retail and gadgets grab the headlines for now, but they are mere appetisers for the conflict that is coming. Rushton called it Goliath vs Goliath. She looks to be proved right.